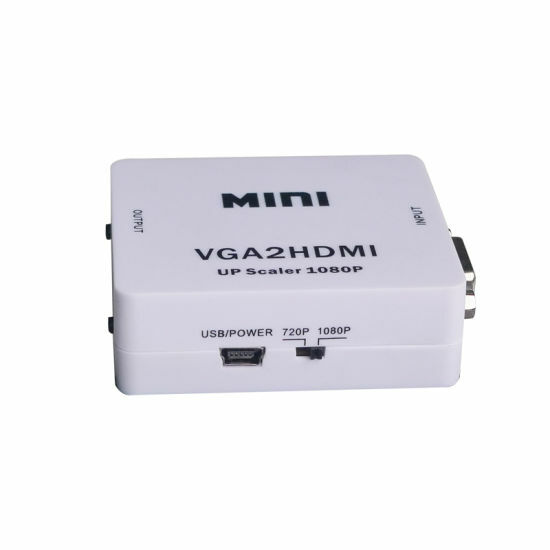 VGA to HDMI, VGA to HDMI Audio, VGA to HDMI Upscaler manufacturer / supplier in China, offering Mini VGA to HDMI Upscaler 1080P, Bluetooth 5.0 Wireless Earbuds with Auto-Charging Box, Magnetic Car Phone Mount (360° free Rotation) and so on. 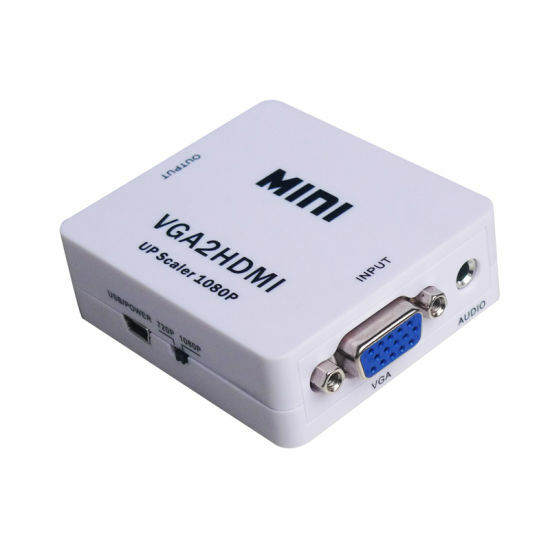 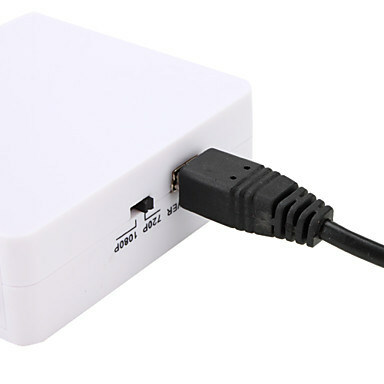 The MINI VGA2HDMI 1080P UpScaler box is designed to upscale analog video signal from PC input source to digital HDMI output , up to 720p or 1080p. 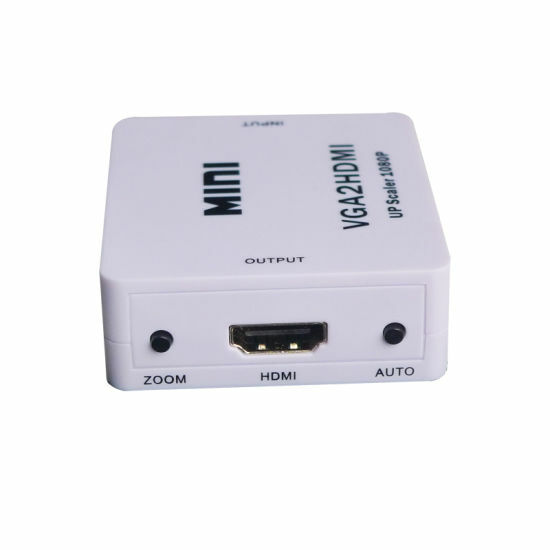 Besides video upscaling, the scaler box also converts input audio signal from L/R to digital formats, then output to HDMI combining with the video. 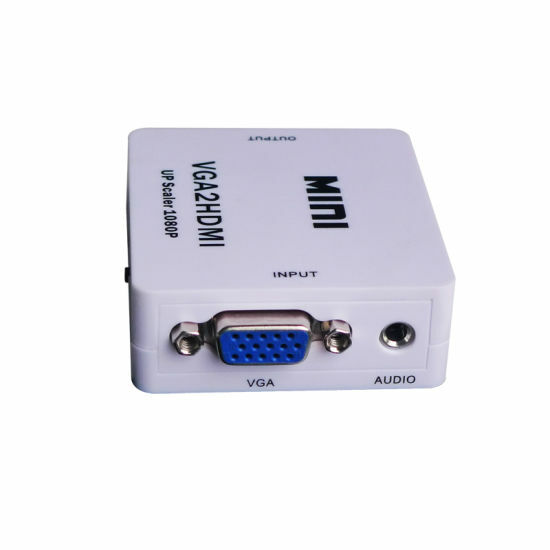 VGA input Supports up to 1920x1080@60Hz.